Wooden floors are always in style, so give your home or office a makeover that lasts – with a wood floor installation. The floor fitters in Holland Park W11 provide a service geared towards your complete satisfaction. You have complete control over the process and can choose among a variety of design choices and materials to have a floor that meets all your requirements. 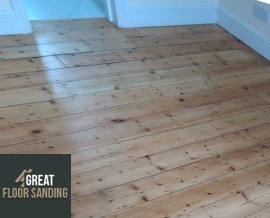 What Will You Gain from Our Wood Floor Installation in Holland Park W11? Exceptional Results: We deliver a product that lasts for years, and thanks to its high level of craftsmanship, manages to raise your property’s value. Customized Floor: Wooden floors come in numerous types and style. From hardwood and engineered to laminate and parquet, the choice is yours. Premium Materials: Longevity is a primary goal, and for that purpose, we work with only the most durable oak, cherry, ash, maple, pine, and walnut. How The Wood and Parquet Floor Fitters Approach Wooden Floor Installation? The first step is to have a team of wood and parquet floor fitters sent around to your property to assess the layout and how the project is going to shape up. In case the floor beneath is not leveled, we can easily perform concrete subfloor leveling to give your wooden floor the proper base. Before the installation, you can get damp and sound proofing for an improved experience once the floor is installed. Then comes the actual floor installation – either glued down, nailed down or floating. For finishing touches, you can order skirting board and beading installation. Who Are The Wood Floor Fitters in Holland Park? Installing a wooden floor is a job that demands precision, skill and a strong hand. You can relax knowing your team consists of professional London wood floor fitters who have worked this for years on end and know how to approach every property type – residential or public, small or large, open or complex in its layout. We employ the use of only premium materials, trustworthy brands and the most preferred techniques to give you a wooden floor that will last the ages. Efficiency in communication is our forte, so you can always get in touch with the office every day of the week. Dial 020 3404 9697 from early in the morning to late in the day, be it a weekday, the weekend or holiday. Our operators are here to help you create your unique service package, schedule a no-obligation on-site consultation with the Holland Park wood floor layers and edit an existing scheduled appoint, as long as there are more than 24 hours before the arrival date and time.